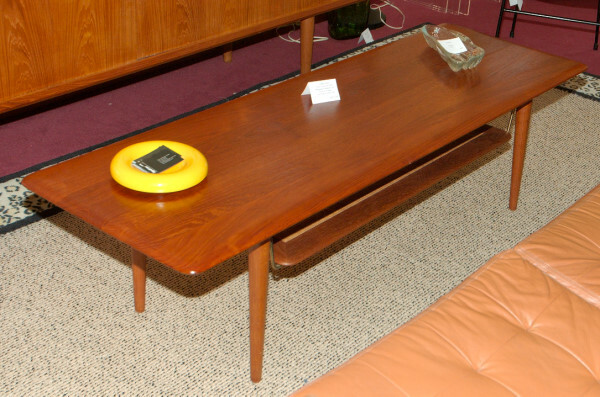 Peter Hvidt & Orla Molgaard-Nielsen for France & Son (Denmark) 1956-58 teak coffee table. Teak top and legs with suspended wicker magazine shelf. On display 2nd floor of Antique Row Stalls - Baltimore.